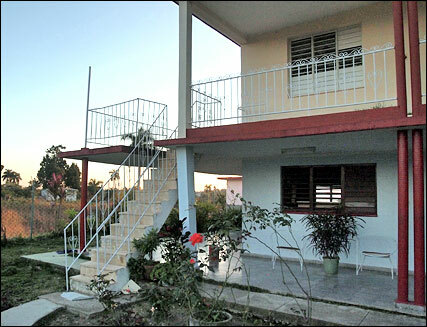 These are casas particulares — private homes renting rooms — in which we stayed on the 2012 trip. They are all comfortable and are all run by wonderful people. About the contact phone numbers below: We found making calls in Cuba immensely confusing. We generally have tried to provide phone numbers as they were given to us. However the necessary prefixes vary with the place from which you are calling and the destination of your call. The 53 prefix, included in some numbers below but not in others, is the country code for calls originating outside Cuba. 07 or 7 is for Havana. 05 or 5 is for calling mobile phones in Cuba. Each province has its own prefix. There doesn't seem to be a uniform way of spacing or hyphenating phone numbers. We bought a phone card and learned to use it eventually, but we often found it best to ask Cubans for help with the phones! This is an exceedingly well-run casa particular. 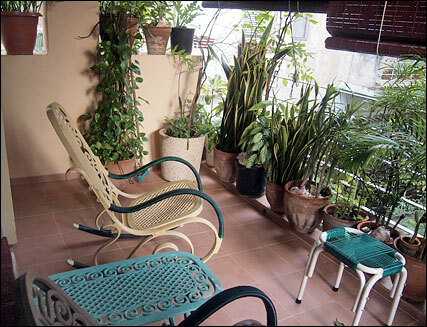 The two rooms are immaculate, and there is a pleasant, shaded terrace out front. Ana and Pepe are so helpful and knowledgable that even non-guests find their way here for advice. If their rooms are booked — as they often are — you can count on Ana and Pepe to arrange other good accommodation in the neighborhood. 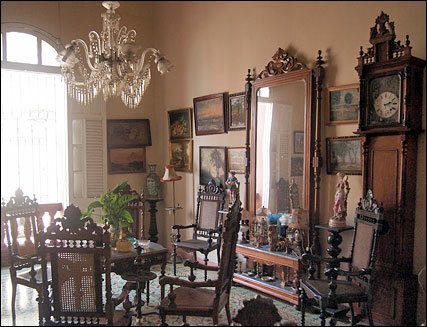 In fact, that’s how we found the next three casas in El Vedado, all within a few blocks of Casa Ana, and all of which we also liked very much. Sra. 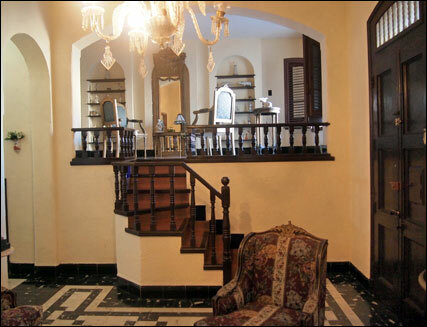 Estella is a gracious, older lady, and her home is a colonial gem. We hugely enjoyed staying here, but she is often booked. We did not have dinner here, but breakfast was excellent. Anita and Ariel are a friendly younger couple (much younger than us anyway), and the room they rent is one of the best. It is spacious, with a private entrance, its own tiny foyer with table and fridge, private bath of course, and a nice patio. Highly recommended. 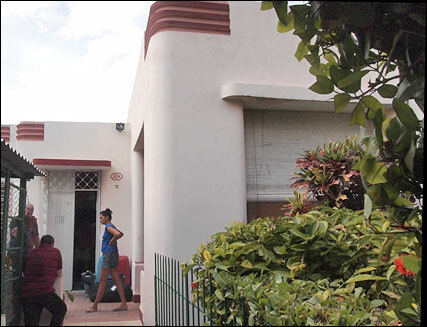 Petronila rents two comfortable rooms in a second floor apartment. One of them has a delightful balcony full of plants. We stayed here a couple of times and liked it very much. Dunia, Raul and their children are wonderful people, and Dunia is an amazing cook. Raul and Dunia lost their former wooden house to a hurricane, and after years of hard work they have this fine new house, still with wonderful gardens. We love this place. 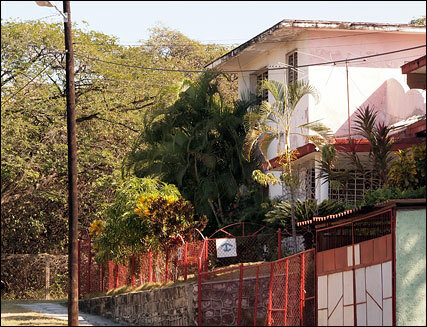 Marta's comfortable casa is less than a mile outside the east entrance to Las Terrazas. She rents a single, comfortable upstairs room, with its own outside sitting area and a fridge. Great food! 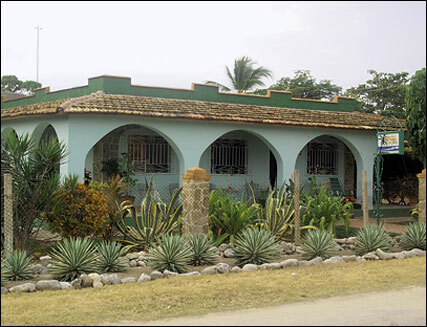 Ara and her husband Tony have one of the nicest casas particulares in Viñales, and their son Papo and other relatives also rent very good rooms nearby. You’re in the care of a kind and friendly family. 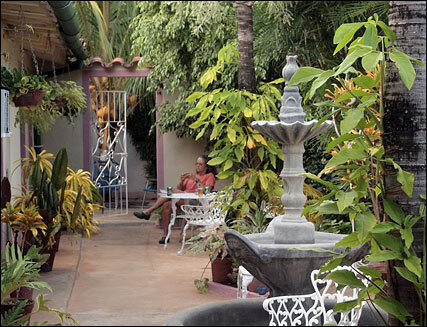 Angel’s casa particular is a colonial building with marvelous antiques and a courtyard restaurant that may serve the best food in town. Angelo is a genial host, and his place is a bargain. Hostal Casa Colonial is just one block off the square in Remedios, and it is in a fine old colonial home on an unpretentious street. The food is fine, and kindness and hospitality of Odalys and Miguel is outstanding. 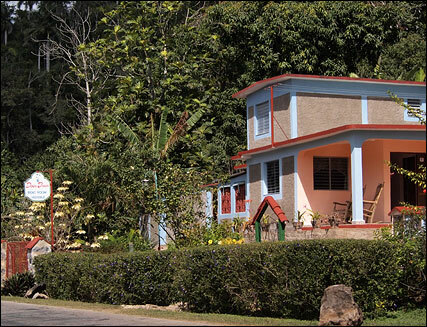 Just six kilometers from busy Trinidad, Hostal Sol y Mar is one of our favorites, with a broad porch overlooking the water. 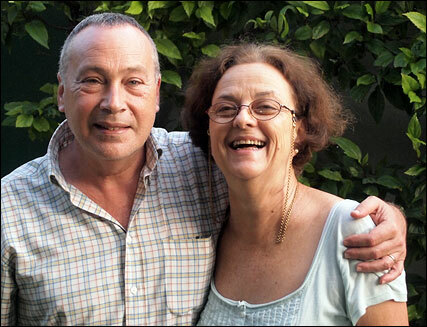 Joaquin and Olga are kind hosts who serve delicious meals. We feel terrible to have lost their telephone number, but Sol y Mar is listed on Trip Advisor and many other sites on the internet. Norma and Roman’s comfortable home was our midnight discovery (see journal) and we liked it very much. They made us feel at home and were both extremely helpful. Roman spent hours searching for accommodation on our route to Santiago de Cuba. What a informal, fun place this is! Dago and Babi are great, and friendly relatives wander through. Babi’s meals are excellent, and staying with her and Dago is a great opportunity to learn about the hobby of training and racing homing pigeons! We did not want to leave, and would love to go back. 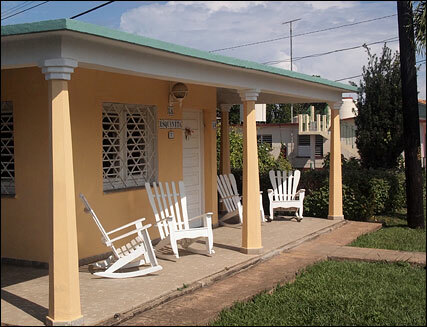 Caridad is an elderly lady who shares her fine old home with her children. She has a single spacious guest room downstairs. 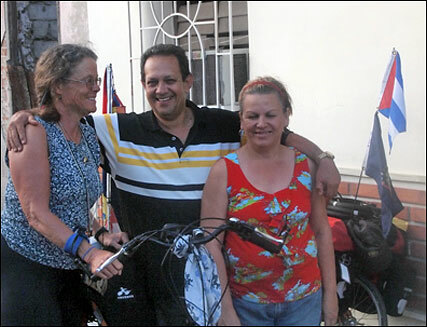 She is a considerate host, and her house is in Vista Alegre, once a wealthy, upper-crust enclave, and still one of the leafiest, most pleasant neighborhoods in Santiago de Cuba.